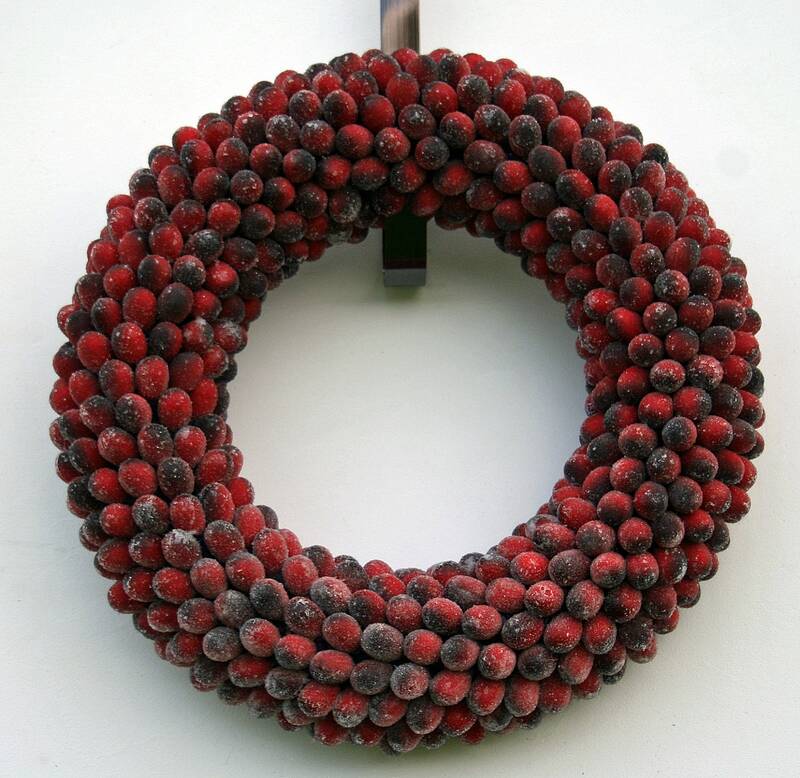 Cranberries are an integral part of Christmas and the Holiday Season and they make a bold statement if you choose to incorporate them into your holiday decor. 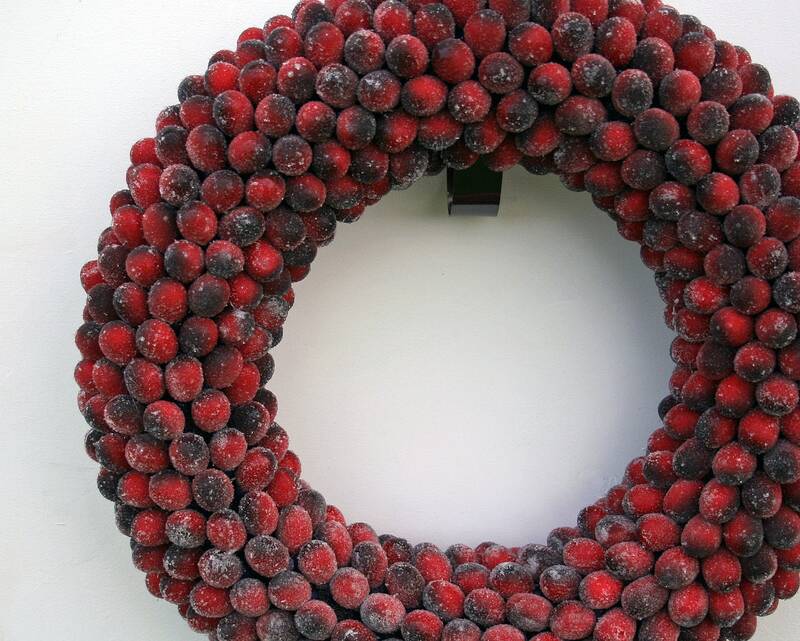 This frosted cranberry wreath is absolutely stunning. 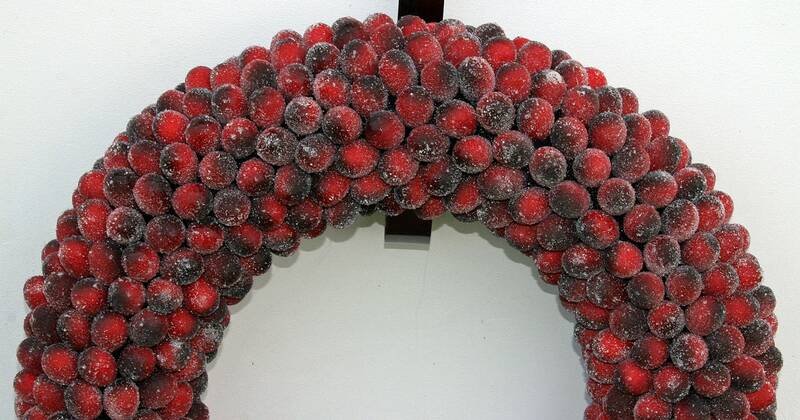 Approximately 500 individual cranberries were hand frosted with glass microbeads to create this beautiful wreath. 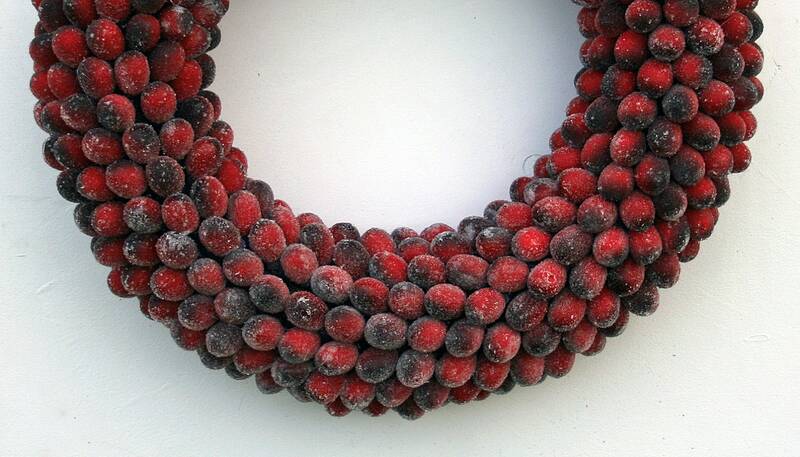 Each cranberry was hand attached to ensure the wreath had the best visual punch! Add creative lighting to make this wreath pop, sparkle, and shimmer. Place it on a table with a chunky candle in the center or hang it above the fire place or on the wall or a door. 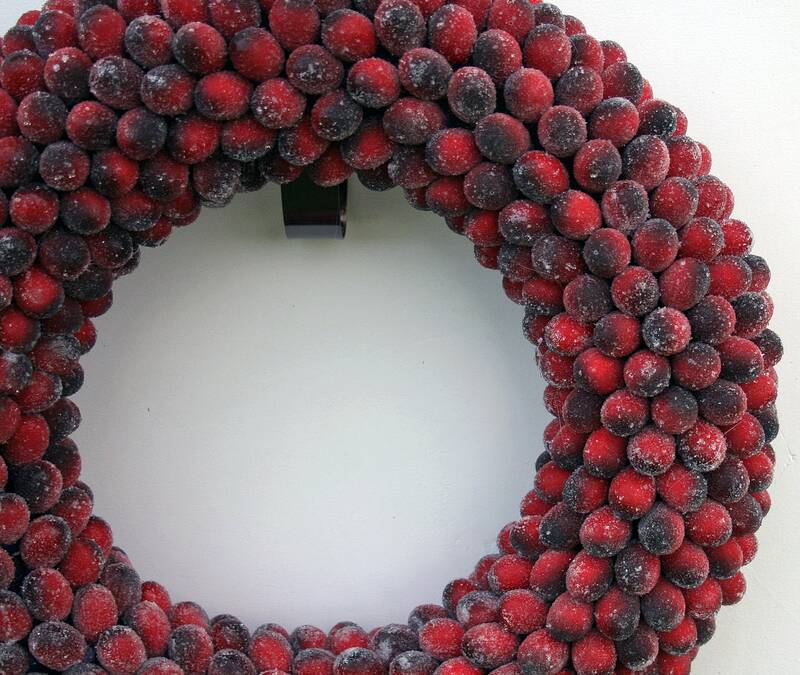 This wreath measures approximately 14 inches in diameter and was created on a styrofoam core painted dark black to compliment the colors of the cranberries. Display inside or in a covered area out of the elements and weather. Other diameters are available. The 32 and 38 inch diameter wreaths are commercial grade and added shipping has been factored into the pricing.